In much the same way it is easy to fall into the trap of looking at Vancouver's own history in a didactic, "it started here and ended here" sort of way. We also look at history in a neat and mathematically comforting decimal system of centuries and decades. Occasionally there are some great personalities that thwart that system For example there is Graham Greene who spanned Edwardian times and yet flew at supersonic speeds on the Concorde. People such as Greene teach us to look at history in a not so neat but ever so much more itneresting way. 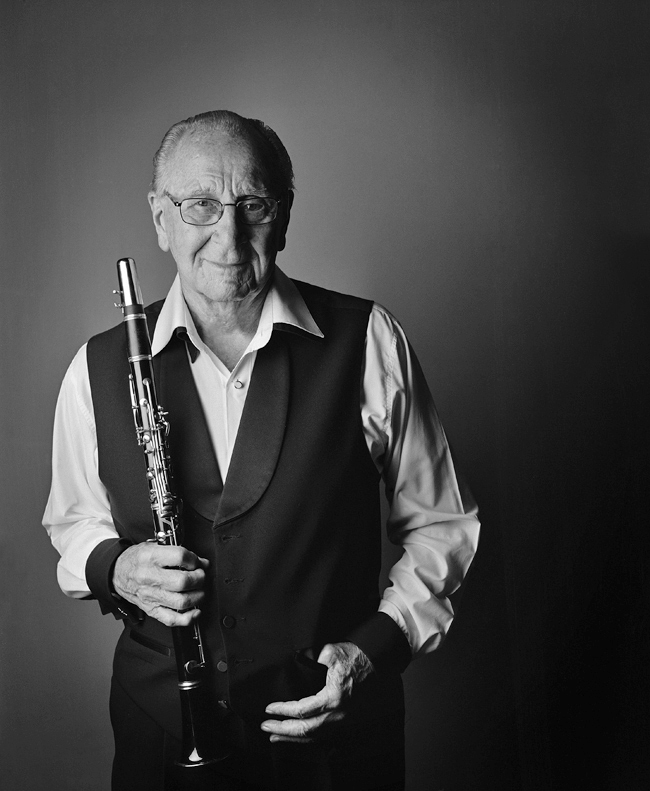 Such is the case of our very own Dal Richards who celebrates his 90th birthday with a big bash concert at the Orpheum on January 6. Richards lost an eye when he was 8. His parents put him into the Kitsilano Boys Band as a recuperative therapy. He played a clarinet sold to them by George Leach, the bassoon player of the Vancouver Symphony. Leach also played in dance bands but had to sell the clarinet t suppor his family.